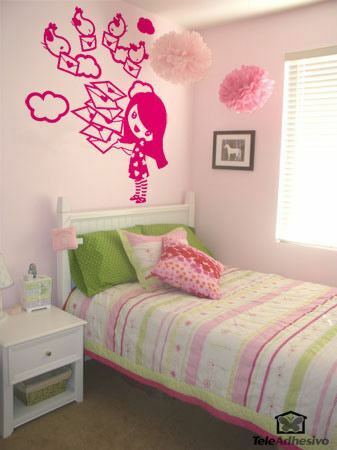 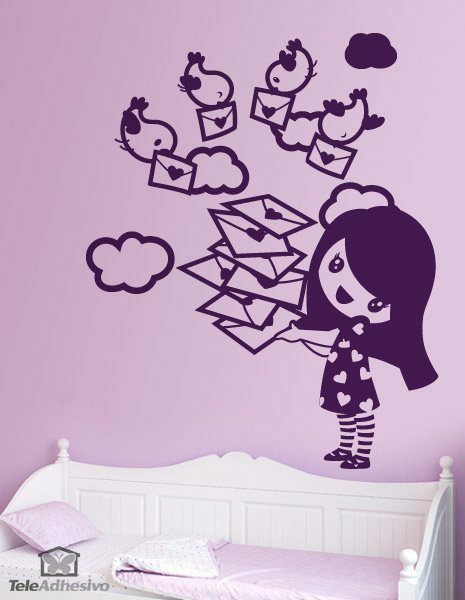 Kids wall sticker Girl with messenger birds. 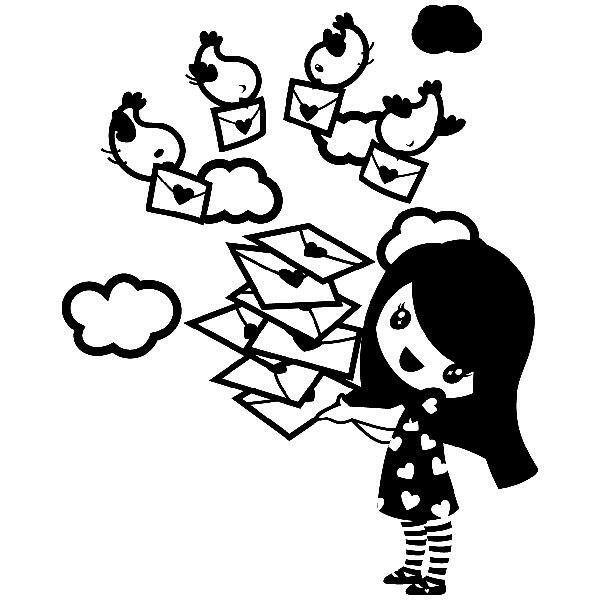 Amazing image of a little girl who has received a lot of postcards with a heart. 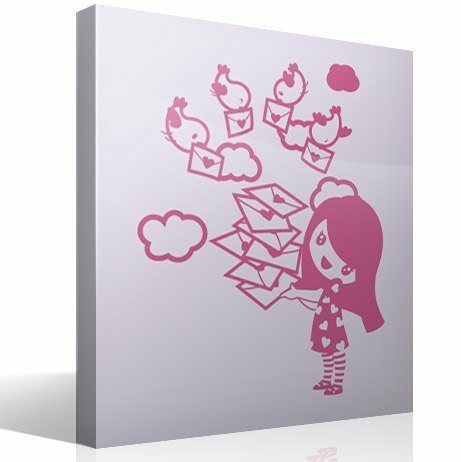 The sky is full of birds that continue to bring more letters to the girl. 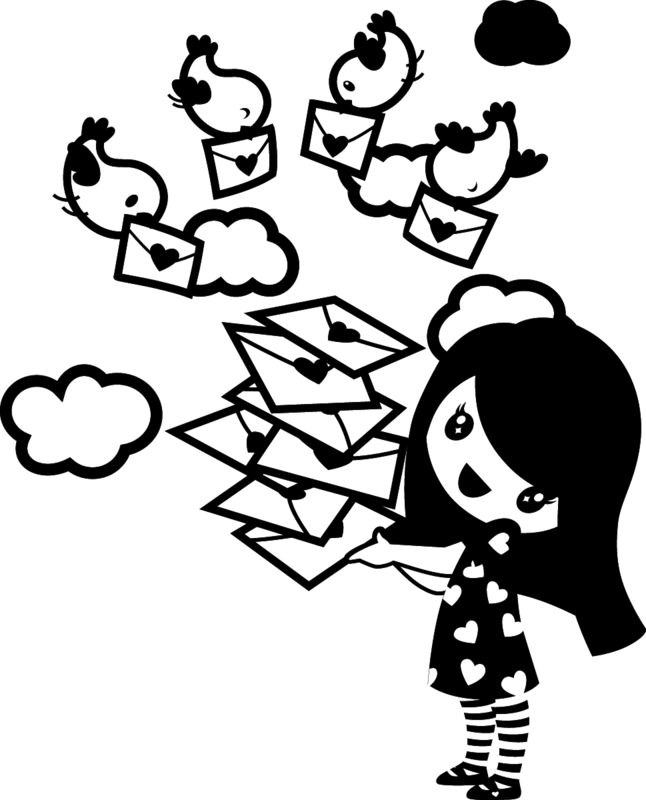 She wears a dress of hearts and some very funny striped tights. Size: 37 x 48 cm.